The intersection at Milwaukee, North and Damen in Wicker Park has undergone a huge boom over the past two decades. What was once a seedy, grungy area of the city is now a gentrified hub of boutiques, brunch spots and hopping nightlife. Like many three-way intersections along Milwaukee Avenue (and throughout Chicago in general), the cross streets create six corners instead of the conventional four. This has led many ignorant Chicagoans to call the intersection "Six Corners"—which has historically been the name of the Portage Park intersection of Milwaukee, Cicero and Irving Park. You should stop calling the three-way intersection in Wicker Park "Six Corners" and start calling it by its more fitting name of "The Crotch," which has been a popular moniker for the area for decades. The etymology of the phrase is unclear, but it was likely born when the area was significantly less bourgeois than it is today. The Portage Park intersection has been referred to as the Six Corners Shopping Disctrict since at least the 1920s, according to Kelli Wefenstette, the interim executive director of Six Corners Association. "I venture to guess that the people who refer to the Wicker Park intersection as 'Six Corners' aren't necessarily from Chicago," she said. "They don't necessarily know about the Six Corners in Portage Park and that it is a historic shopping district." The real Six Corners was once a booming commercial area, where Northwest Side residents would shop for everything from school clothes to household goods, said Wefenstette. 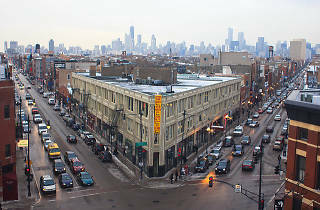 At one point, the area was the second highest-grossing commercial district in the city behind the Loop, a distinction that Wicker Park will almost certainly never hold. Either way, "The Crotch" is a better fit for the Wicker Park intersection. It has effectively become Wrigleyville 2.0 in the past few years, and can be quite gross and smelly when you pass through it on a Saturday night. So please, people of Chicago, stop embarrassing yourself by calling Wicker Park's hub "Six Corners" and start calling it "The Crotch." I know why they call it that. It's known for the public urination; you see it when it's blocks away from the Flat Iron. But just don't drain your lizard near any of the record stores. I seen the plastic beer glasses full of piss when I would go to the Metro when I was in my late teens as it was the first time I heard Five Corners referred to "The Crotch" as it's known where a lot go and public urinate. The people who live there can call their neighborhood whatever they want. 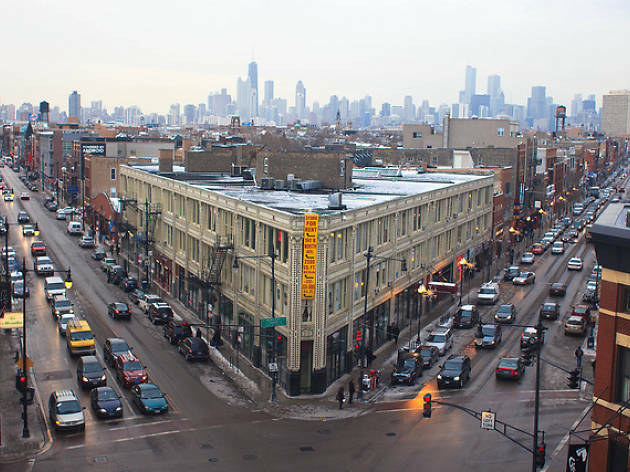 Wicker Park residents needn't learn about the Six Corners in Portage Park, because they don't care about what's going on over there. Portage Park residents needn't learn about the six corners in Wicker Park, because they can't afford to live there. NO. It may be gentrified but your making it worse by exclamating a gradual change. Its an incredible neighborhood with a lot of history and you are making it worse by calling it "the crotch" of Chicago. Your the one whose obviously not from this neighborhood, so maybe you should go back to Lincoln park if this crotch is too gross and smelly for you. Someone who loves wicker no matter what. @wicker r call it whatever you like, just not 6 corners because that is already the name of an incredible neighborhood with a lot of history. Call it Around the Coyote, or Flatiron, or anything other than 6 corners, because the only people calling it 6 corners are those who are ignorant of the rest of the city.